The EB10000 is well suited for industrial and commercial applications such as construction. 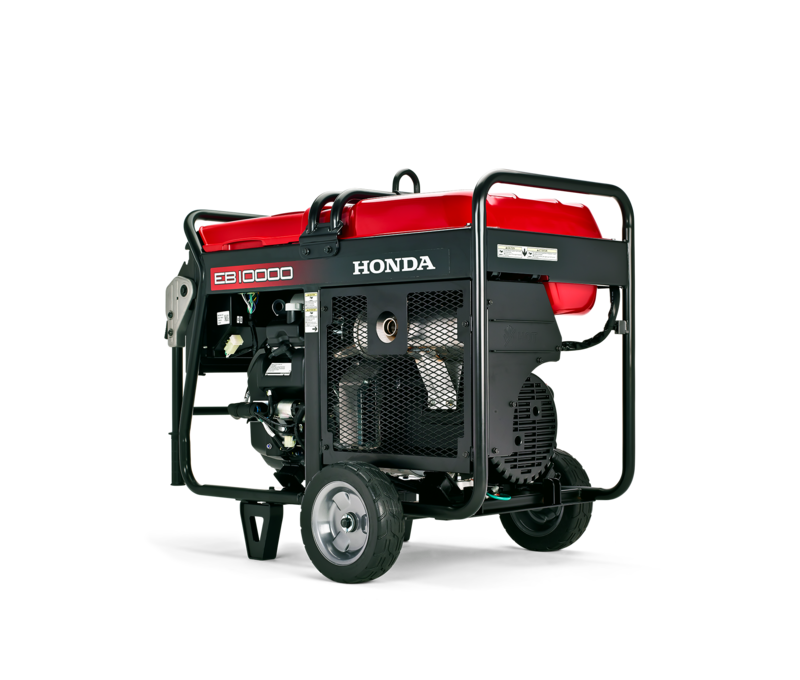 It is also a perfect fit for the rental market, where users demand the most reliable power. 40 amps/120 VAC continuous is available as combined total from these twin duplex AC receptacles. Maximum of 20 amps available from each GFCI duplex receptacle.